Septic systems are underground wastewater treatment structures, commonly used in rural areas without centralized sewer systems. A combination of nature and proven technology treats wastewater from household plumbing produced by bathrooms, kitchen drains, and laundry. A typical septic system starts with a septic tank, which is a buried, water-tight container usually made of concrete, fiberglass, or polyethylene. Its job is to hold the wastewater long enough to allow solids to settle down to the bottom forming sludge, while the oil and grease floats to the top as scum. The excess water enters a drain pipe and is transported a drainfield, or soil absorption field. 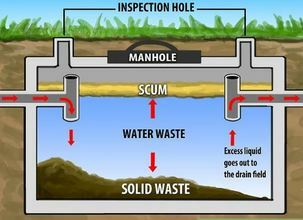 A properly designed and normally operating septic system is odor-free and, besides periodic inspection and emptying of the septic tank, should last for decades with minimal maintenance. 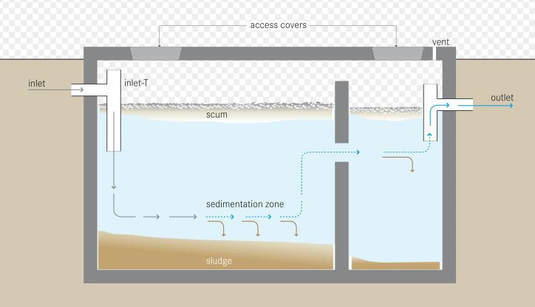 Wastewater (effluent)enters the chamber of septic tank. The solids settle to the bottom and scum (e.g., oils and grease) floats to the top. The settled solids are anaerobically (without oxygen) and/or aerobically (with oxygen) digested using bacteria. The excess liquid drains into a septic drain field, which can also be called a leach or seepage field. In a two tank system, the fluid goes into a second tank to remove more solids, before flowing into the field. The remaining impurities are trapped and eliminated in the soil, with the excess water eliminated through percolation into the soil, through evaporation, and by uptake through the root system of plants and eventual transpiration or entering groundwater or surface water. ​Alternative systems may use septic pumps to help the effluent filter through sand, wood shavings or other organic materials to remove or neutralize pollutants like disease-causing pathogens, nitrogen, phosphorus, and other contaminants . Other systems use evaporation to help disinfect the excess liquid, before the gray water is released into the field or soil. Install a water-limiting shower head. Putting anything heavy over the septic tank or drain field can damage the tank and pipes, compromise the effectiveness of the drain field, and are in violation of laws in most jurisdictions. This includes structures such as a shed, garage or above ground pool. Don't lay cement or asphalt over the septic system or seepage field as it limits access and can compress the soil around the system. Don't even park a car, a piece of heavy equipment or an RV over the tank or drain field. 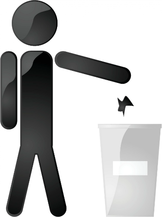 Garbage disposals create waste products that take the bacteria longer to decompose. This can clog the drain field and reduce the efficiency of your septic tank. Bits of food can become suspended in the water below the scum line. They enter the drainage pipes that carry the excess liquid or effluent into the septic drain field. Using a garbage disposal rapidly increases the level of the solids in the septic tank. Therefore, the septic tank will have to be pumped out at least once a year to keep the proper balance of solids to liquids. Replacing a septic system because it is damaged by trees, shrubs and bushes can be an unnecessary expense. 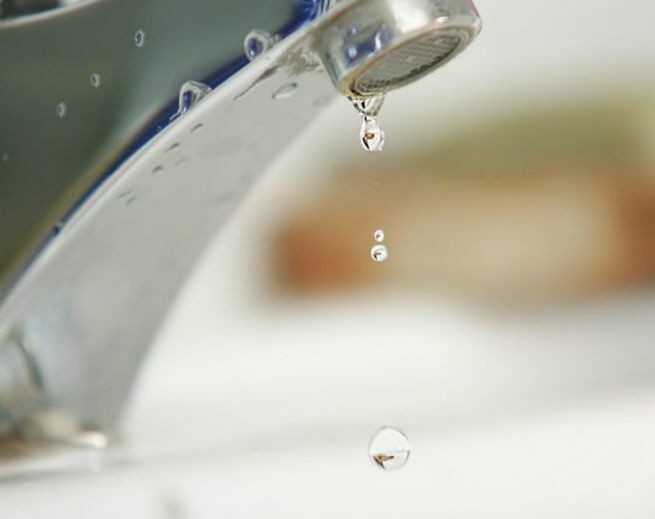 In Boise, ID, it is one of the most common causes of damaged septic tanks. 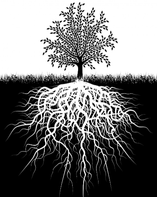 Keep the area clear of roots; the roots of trees can damage pipes and the tank. Be especially careful of trees with aggressive roots such as willow trees. Cut down all trees and bushes near the septic tank and leach field. If the leach field is near gutter run-offs, put attachments on the gutters to divert the water from the drain field. How many bathrooms are in the house? Are you adding bacteria or additives to ensure proper decomposition of the solids. For a 1,000 gallon (3,785.4 L) tank providing service to four people in a household with no garbage disposal, pumping every 2-3 years is normal. With only 2 people in the household, 4-5 years. When having the tank pumped, consider having it inspected it to make sure it’s in good working order.